Elegant 16th Century villa, 250 sq. m., holding up to 10 persons with 5 double bedrooms and 5 bathrooms. The villa is immersed in countryside, with olive and cypress trees all around. 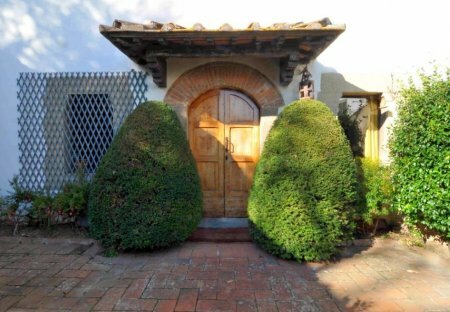 Elegant 16th Century villa, 320 sq. m. with outbuilding, holding up to 12 persons with 6 double bedrooms and 6 bathrooms. The villa is immersed in countryside. 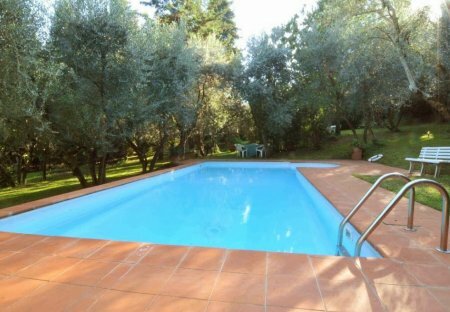 This 1 bedroom apartment with swimming pool is located in Gavinana Galluzzo and sleeps 4 people. It has WiFi, air conditioning and a garden. The apartment is near a beach. This 1 bedroom villa with swimming pool is located in Gavinana Galluzzo and sleeps 4 people. It has WiFi, air conditioning and a garden. The villa is near a beach. This 1 bedroom apartment with swimming pool is located in Campo Di Marte and sleeps 2 people. It has WiFi and air conditioning. This 1 bedroom apartment is located in Florence Centre and sleeps 4 people. It has WiFi and air conditioning. This 1 bedroom apartment with swimming pool is located in Campo Di Marte and sleeps 4 people. It has WiFi and air conditioning. This 1 bedroom apartment with swimming pool is located in Campo Di Marte and sleeps 3 people. It has WiFi and air conditioning. This 2 bedroom apartment is located in Florence Centre and sleeps 4 people. It has WiFi and air conditioning. This 4 bedroom apartment is located in Florence Centre and sleeps 8 people. It has WiFi, air conditioning and a garden. This 3 bedroom apartment is located in Florence Centre and sleeps 6 people. It has WiFi and air conditioning. This 2 bedroom apartment is located in Florence Centre and sleeps 3 people. It has WiFi and air conditioning. As in the name, “L'Arcolaio” was in the past a famous place for the weaving of prestigious items. This 1 bedroom apartment is located in Campo Di Marte and sleeps 4 people. It has WiFi and air conditioning. This 2 bedroom apartment is located in Florence Centre and sleeps 6 people. It has WiFi and air conditioning. Pleasant mansard - apartment on the 6. floor (with lift) set near the historical centre of Florence (the cathedral is at 2 km). The access to this completely independent mansard (average height 2 m.